NOW Raw Maca at Bodybuilding.com - Best Prices on Raw Maca! **Gelatinization is a completely vegetarian process that removes starch from Maca to yield a more concentrated product. Gelatinization does not refere to "gelatin", and no animal derived ingredients are incorporated into this process. No Raw Maca Reviews Found. Cellulose (capsule), Rice Flour, Silica, and Magnesium Stearate (vegetable source). ** Gelatinization is a completely vegetarian process that removes starch from Maca to yield a more concentrated product. Gelatinization does not refer to "gelatin", and no animal derived ingredients are incorporated into this process. 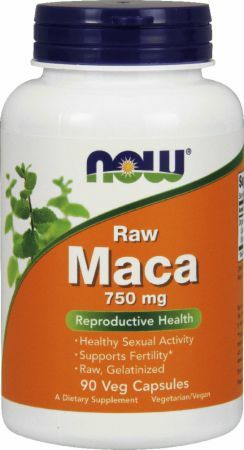 Directions For Raw Maca: Take 1 capsule 1 to 2 times daily.